This guide explains how you can install Joomla 1.5.6 on a lighttpd web server on Debian Etch. Joomla comes with an .htaccess file with mod_rewrite rules (for Apache) (to enable search-engine friendly URLs) that do not work on lighttpd. Fortunately Joomla has a built-in method to make search-engine friendly URLs work on lighttpd as well. 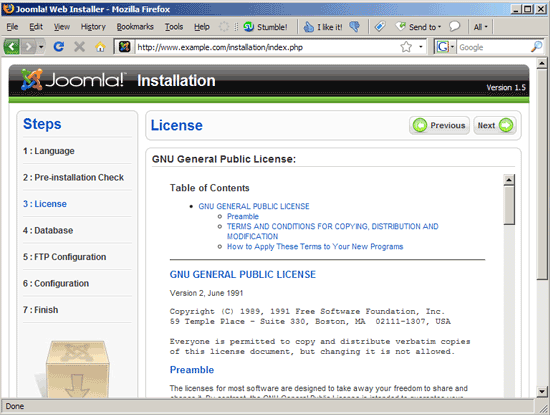 I have tested this on a Debian Etch server where lighttpd and PHP5 are already installed and working (e.g. like in this tutorial). 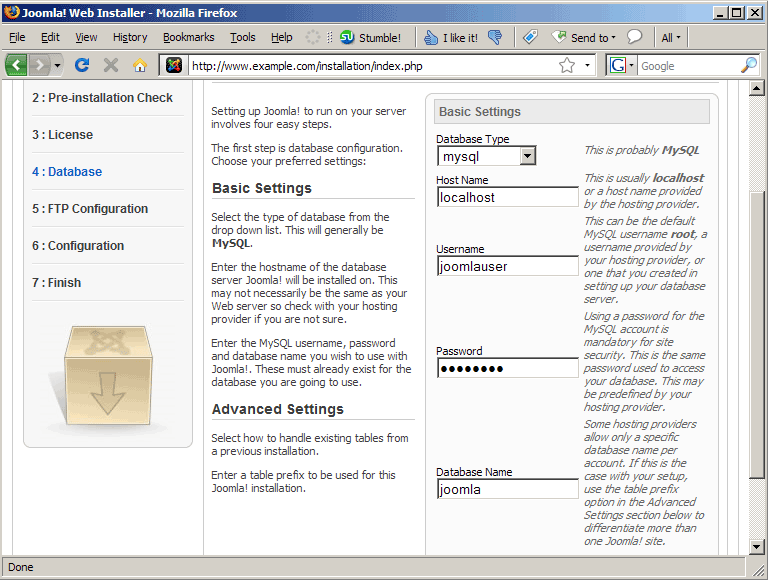 I'll use the hostname www.example.com and the document root /var/www/web1/web (where I will install Joomla) with the user web1_admin and the group web1 in this tutorial for demonstration purposes. Of course, you can use any other vhost as well, but you might have to adjust your lighttpd.conf. 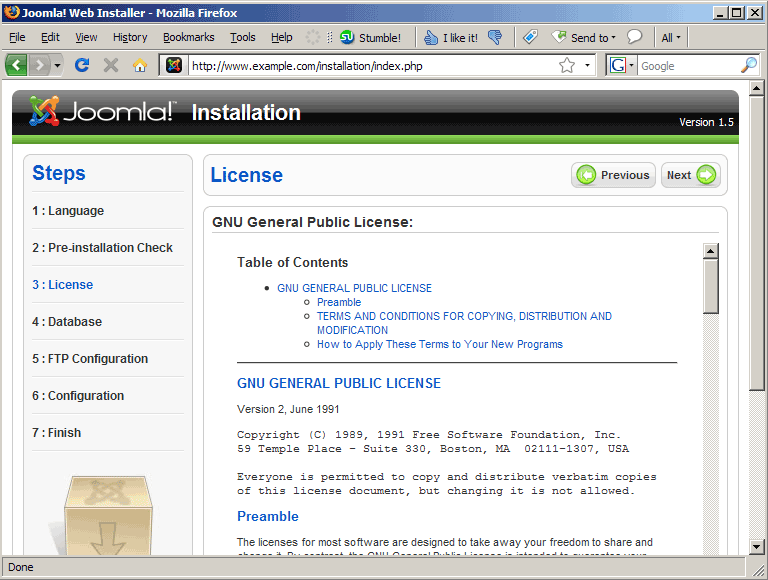 The Joomla sources come as a zip file, so we must install unzip. In addition to that, Joomla needs an FTP server if the Joomla files are owned by another user/group than the web server is running as (user www-data, group www-data on Debian) to avoid permission problems when Joomla tries to change its configuration file. 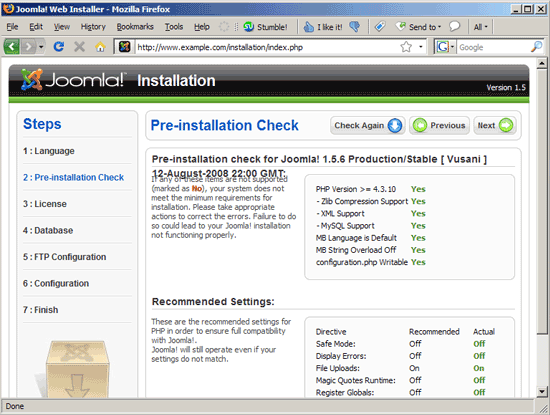 Because I want to use the user web1_admin and the group web1 for the Joomla web site, I must install an FTP server (e.g. ProFTPd) as well (you don't have to do this if you already have a working FTP server on the system). There was a wave of Joomla 1.5 break-ins due to a critical security flaw. Every site running on Joomla < 1.5.7 can be in dander so You have to update to at least 1.5.7. Thanks for this. 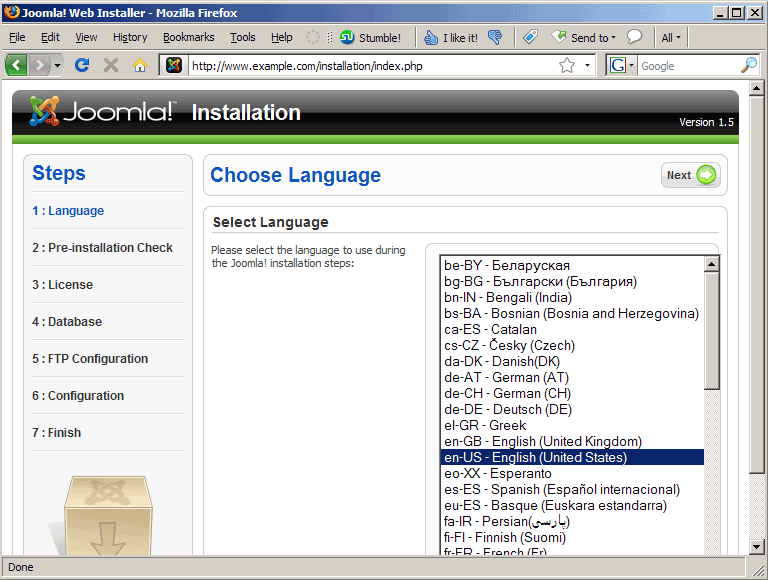 I still have nightmares about my first attempt to install Joomla on my private LAMP server.